This is a choir for singers who like classical music but do not have much previous musical experience. Easier choral literature is sung and the focus lies on teaching singing techniques, sight reading and harmonic comprehension. 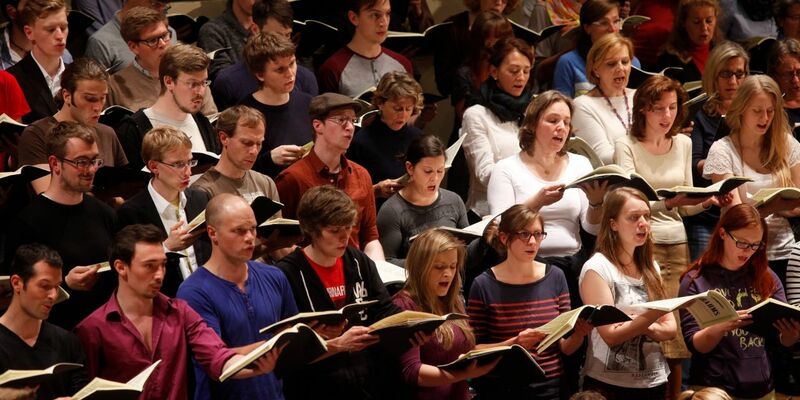 This choir is for beginners who want to (re-) explore the wonderful world of classical music. A voice check is necessary to join the group but no sight reading test is required. In March 2019 opera choruses will be sung in the concert series ​“The World of Opera” and in June works by Modest Mussorgsky und Nikolai Rimsky-Korsakov will be performed at the concert series ​“Masterpieces of Russian Music”. In December 2018 Masterworks such as the ​“Hallelujah” by Handel as well as works by Bach and Mendelssohn were performed at the Vienna Musikverein. Previous projects include motets by Anton Bruckner, Rheinberger and Rachmaninov as well as Franz Schubert’s Mass in G Major. We are looking for men’s voices at present. Women can join in October 2019. No audition is required for this chorus — you can just come and sing! But please register so that we know how many singers are interested. Singers between 18 and 30 years are can register for this chorus. Rehearsals: Monday 6 – 7.45 p.m. "Stöckl Building"